Okay, you’ve already sussed me out, I don’t really know what a hack is … it always used to be something negative when I was growing up but now it just seems to be used in place of “ways to do things”. 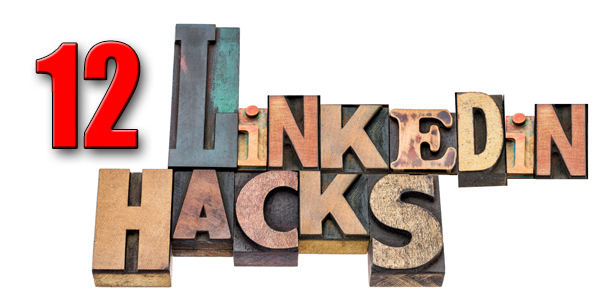 So, anyway, here are 12 great hacks that you might find of value on LinkedIn, that’s to say some “really useful things you can do and find on LinkedIn that you may not have previously known about”. Okay … “LinkedIn hacks” is shorter, I’ll grant you that. Now, these aren’t going to make or break whether LinkedIn is a success for you – having an unfocused profile, blindly connecting, not engaging and pitching when you should be listening will all make a much better job of that – but perhaps they may add a little to your experience on the site and open up some of the options you have available to you. No matter why we are on LinkedIn, using the search functionality effectively is always going to be hugely important. It can save us hours by ensuring that we target those who are going to fit our criteria and near as possible and allow us to focus in on quickly and with greater clarity on whom we want to talk to. 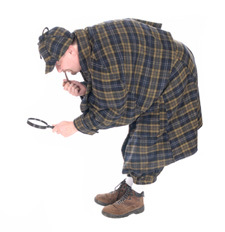 In many ways, it really doesn’t matter whether you are prospecting for new clients and business, identifying new partners or suppliers, using LinkedIn to identify potential candidates for a role you are looking to fill or identifying potential company contacts as a job seeker … in each of these cases, the more effectively we search, the greater our chances of success are. This is all particularly true with the search options on the new 2017 interface – most of the functionality that we need is still in there but so many people people that because the ‘advanced search’ link has disappeared that you can no longer do complex searches on the free account. Not true! All the searches below are from the free account. … then start to search. In all the LinkedIn training sessions I run, whether they are sales, marketing or recruitment focused, we always spend a good amount of time looking at different ways to identify potential prospects or introducers on the site, as well as the differing ways to introduce yourself to them. However, before tapping into the opportunities on offer from LinkedIn’s Advanced search, I always encourage people to first consider developing their networks further than they have already, in order to facilitate the process. 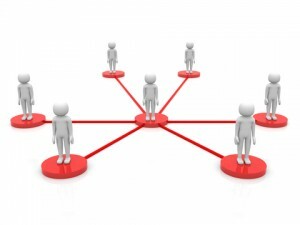 As a first step, logically we start by checking who in our “real life” networks are currently on LinkedIn and also identifying what it really is that they are looking for from their network. This helps to give clarity to where our focus should be. Social Selling mini series: What is social selling really? Social Selling … hhhmmm, it seems that you can hardly open a business magazine at the moment without someone mentioning this current buzzword of the sales fraternity. 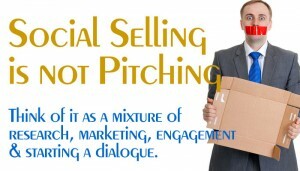 The trouble is there seems to be a bit of a difference of opinion as to what it’s all about … or perhaps put a different way, everyone seems to have their own opinion of what Social Selling really is and what it can offer. At one end of the scale, it is the “holy grail” of business development which means you never have to talk to a prospect or customer again … the sales just fall into your lap! At the other end, it’s “pie in the sky rubbish” which will never deliver any real opportunities let alone concrete sales. The truth, as you might imagine, falls somewhere between these two extremes … exactly where will depend on your own outlook on the sales process and your perception of where the application of LinkedIn can add most value as a sales and business development tool. And don’t think it doesn’t apply to you because you don’t sell … yes, YOU, you know who you are, shaking your head there. Let’s face it, who amongst us doesn’t have at least one foot (or one toe maybe, if you prefer) in the sales arena?